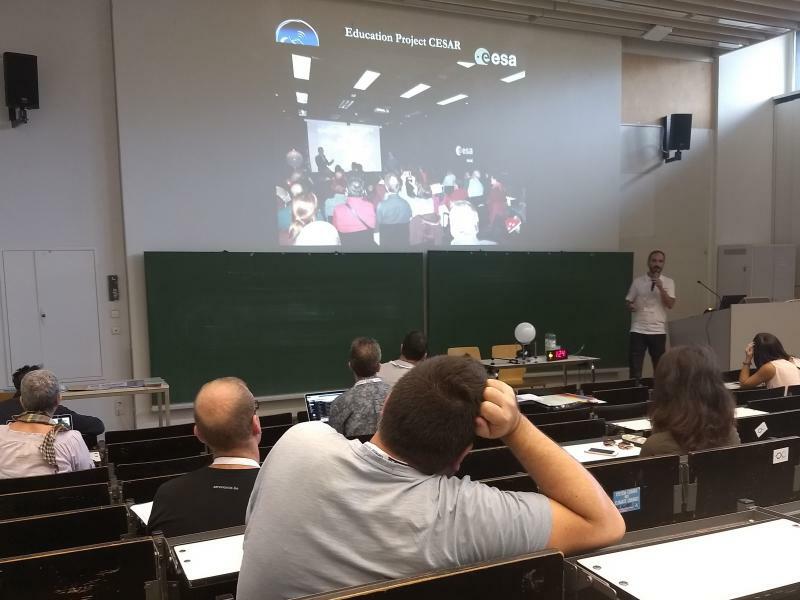 CESAR attended the European Planetary Science Conference EPSC 2018, held 17-21 Sep 2017 in Berlin, Germany. 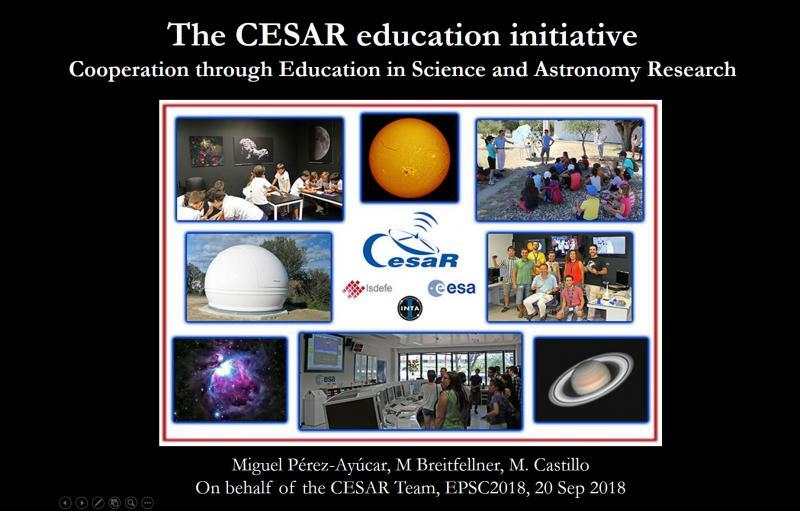 CESAR presented its general activities in an oral talk, in the "Outreach, Education and Policy" session (OEP), and a poster about the activities carried out during Mercury Transit 2016 and 2019, in the "Mercury Science and Future Exploration" session (TP1). 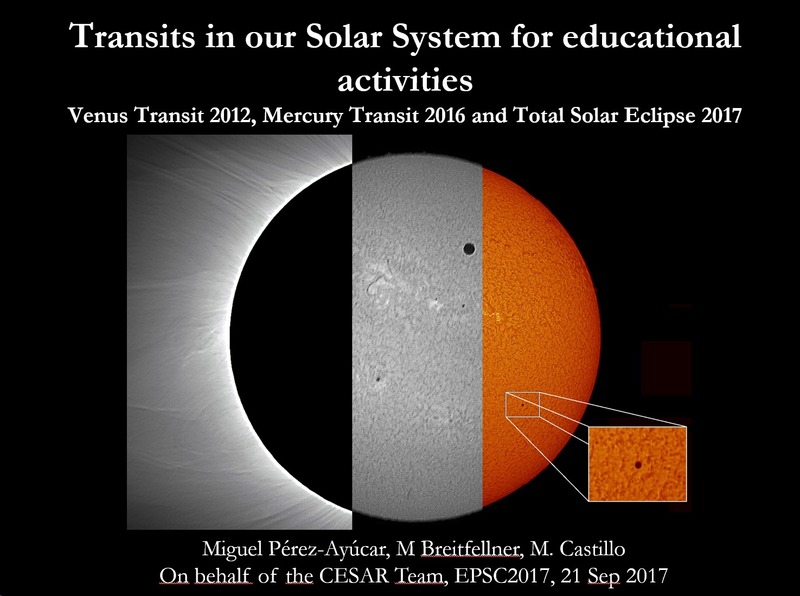 The CESAR team is preparing an event for the 2019 Mercury transit, with simultaneous parallax observations from Chile and Canary Islands.